This class is presented at my production office in downtown Cosby, Tennessee very near the Great Smoky Mountains National Park. 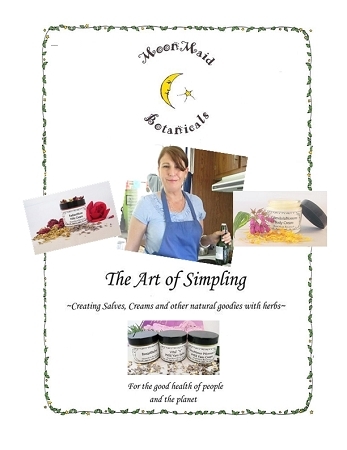 Together, we will explore how to work with herbs in every form imaginable. Teas, tinctures, infusions, oil, salves, creams, bath salts and herbal essential oil use, will all be covered. You will leave this class jars of all the items we create together. During this 3 hour class, we will dive into the basic of blending herbs for teas, potpourri, medicinal oils, salves, creams and more. Bring a sack lunch and hang around exploring our extensive library. Make it a weekend in the Smoky Mountains. There are many reasonable cabins in this area. Take a hike with A Walk in the Woods.